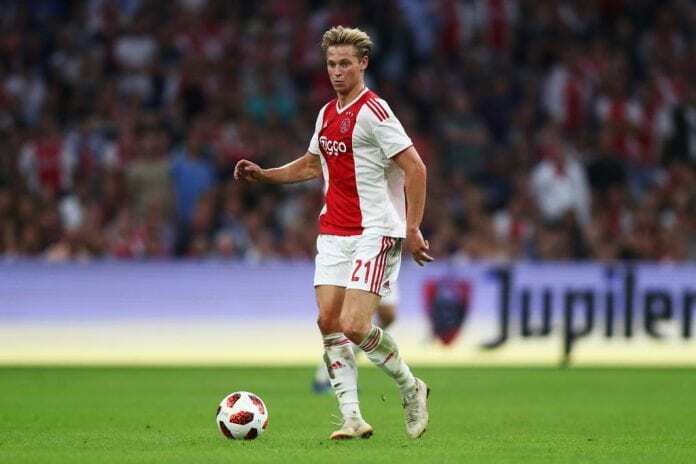 Dutch star Frenkie de Jong is already planning to see out his entire career at Barcelona in a similar manner to that of Lionel Messi. 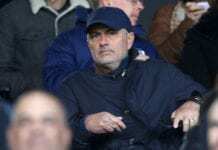 The 21-year-old midfielder’s rise to stardom at Ajax caught the attention of the likes of Paris Saint-Germain and Manchester City, who had hoped to sign him. However, Barcelona were the ones to win the race for De Jong’s signature in a €75m transfer fee along with bonuses of €11m. The Netherlands international has agreed on a five-year contract and will link-up with his new teammates at Camp Nou for the start of next season. But it turns out that De Jong is already looking further ahead to the future. “Paris Saint-Germain was a good option, but Barcelona has always been a dream,” De Jong told Het Kontakt. De Jong also hopes to wear the number 21 jersey at Barcelona, which is currently worn by academy graduate Carles Aleña. He added: “In July, I sign my official contract in Barcelona and I am also presented to the fans and the press. “We are also thinking about playing with Frenkie on the back of my shirt, which Nike prefers from a merchandising point of view, but I’m not sure I want it. Until this summer though, De Jong will remain at Ajax for the remainder of this season where he will undoubtedly hope to leave on a high. 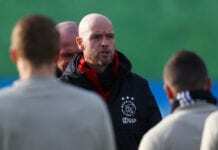 Currently, Erik ten Hag’s side are second in the Eredivisie and five points off leaders PSV Eindhoven and will host Real Madrid on Wednesday for the first leg of their last-16 tie in the Champions League in Amsterdam.